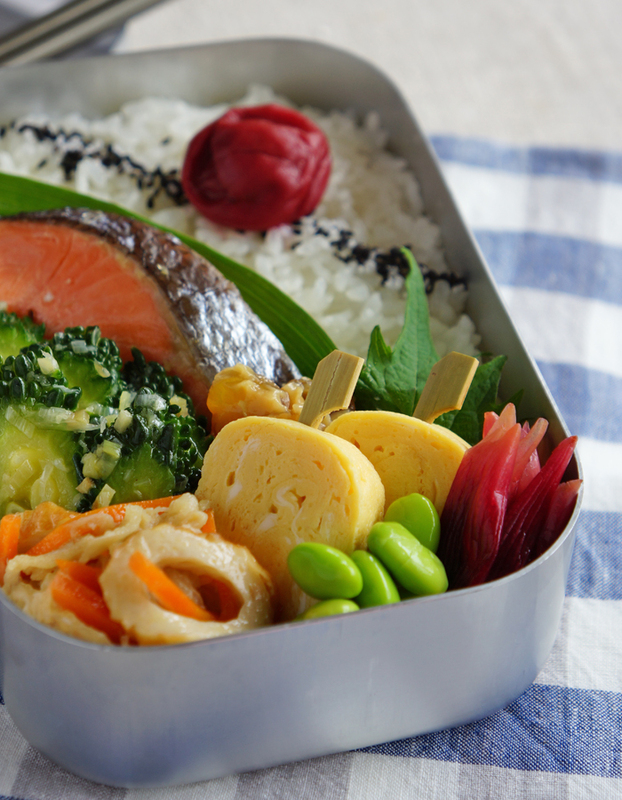 You know, a roasted salmon is Japanese bento staple. 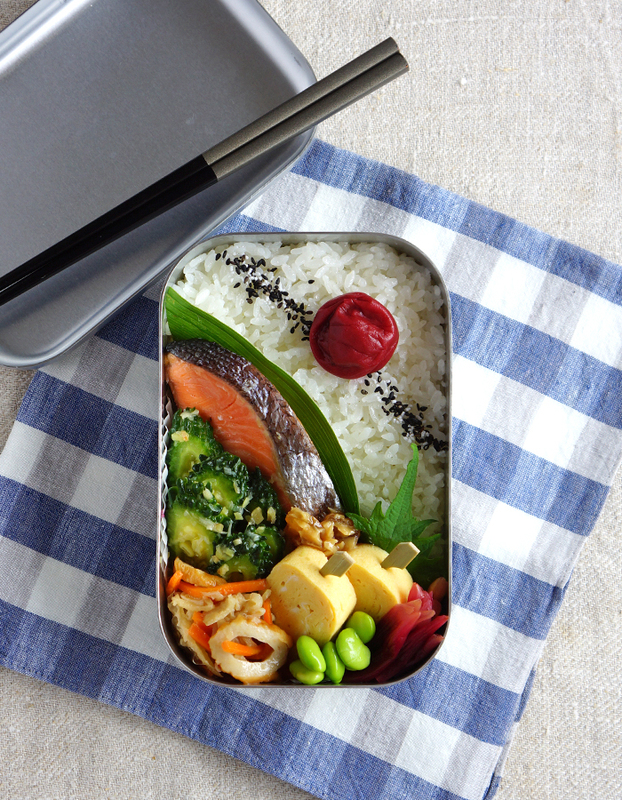 I am sure that I will never ever get tired of the combination of rice and salty salmon. 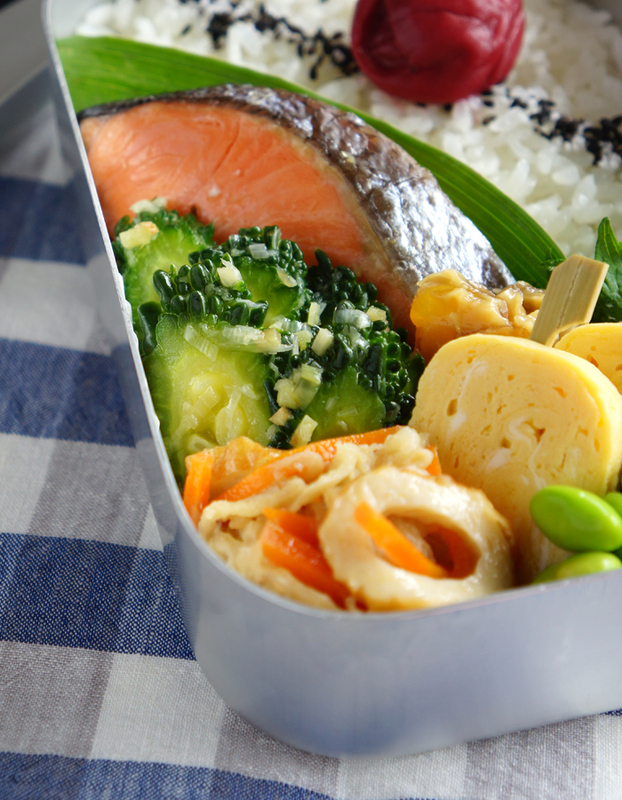 And I always make this roasted salmon bento whenever I want to go back to the basics. 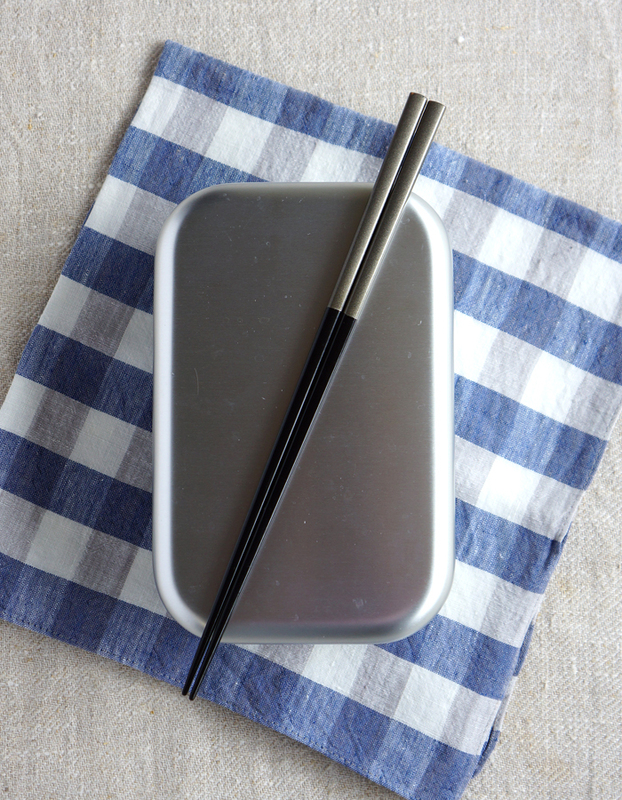 Everything in this bento is all simple and basic bento dish. 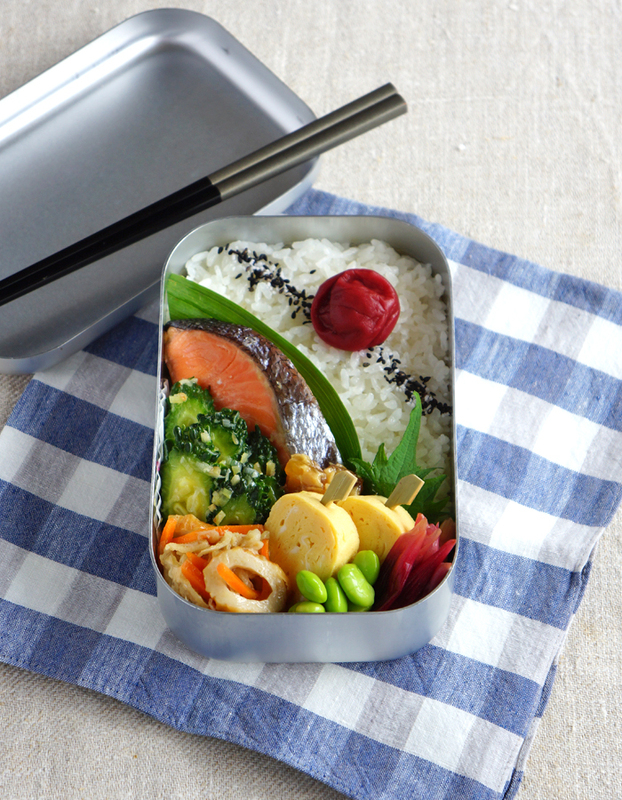 So filling the bento box with these dishes is good way to be good at packing the food into the box well. Try it!